One of the great things about my job is that I get to see the latest collections from all the high-street names. Earlier this month I had a sneak peek at the Joules and M&S Autumn/Winter 2015 ranges. 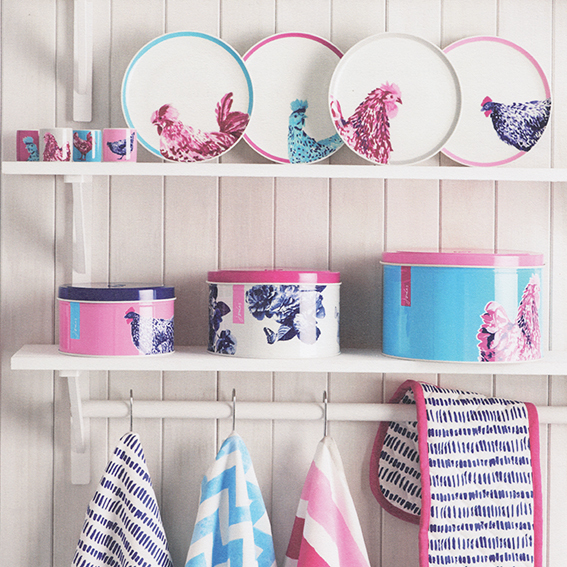 It’s interesting how popular retail brands are embracing (it seems to me, at least) illustration and craft trends. Joules’ mash-up of watercolour style graphics and animal motifs, plus monotone vintage florals with textures of beading, piping and pom pom trims, make use of a wealth of textile finishes and bring a fun sense of playfulness. 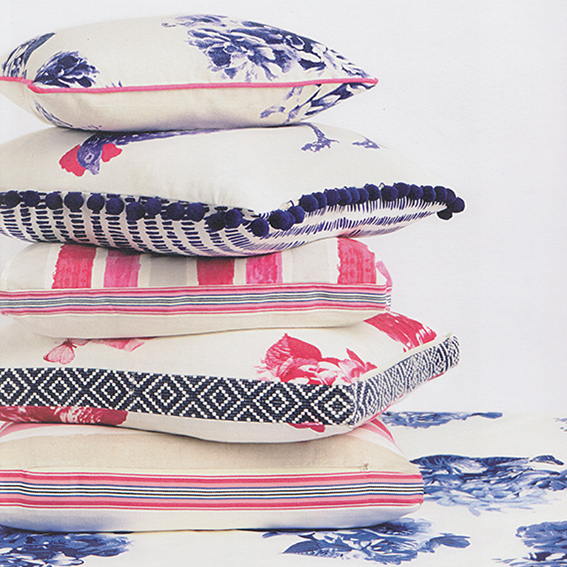 Joules is well known for its cohesive colourways, season after season. AW15 is no different: the collection’s strong navies and cyans, with pops of magenta, neon and dusky pinks, really allow the illustrated designs to sing. M&S also reference the handmade – perhaps even more overtly so. 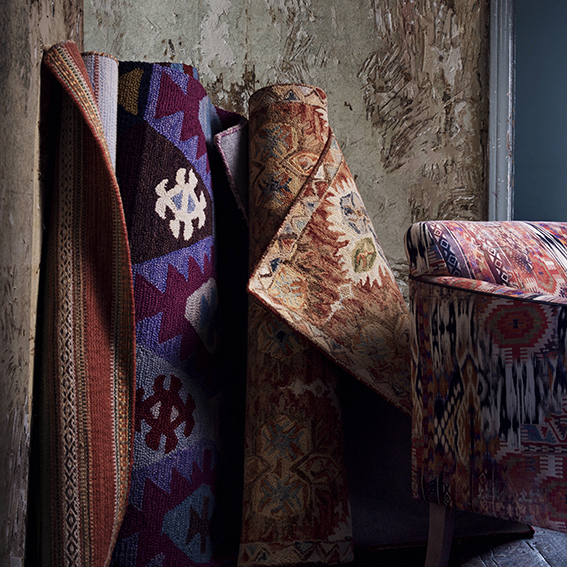 Its folk collection features motifs that evoke narrowboat flower painting and digital style blooms that are reminiscent of embroidery grids – all in a rich palette of purple, cerise, turquoise and dark navy. Its upholstery ranges also reflect some of the trends I’ve seen in craft, particularly the woven, geometric style designs. I have worked very closely with M&S Home in the past and know the retailer works very hard on giving the consumer a range of looks from which to choose. This season, its folker items are contrasted with a more opulent, almost Gatsbyesque, Deco-influenced items. However, here too I see the influence of the artisan. 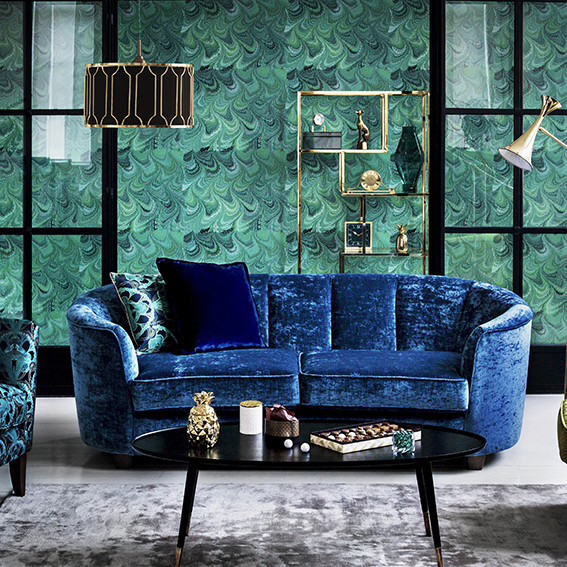 Not only is there a celebration of indulgent fabrics (velvets, chenilles, silks etc) but the key thing for me are the painterly references – its stunning marbled-effect wallpaper being most notable. 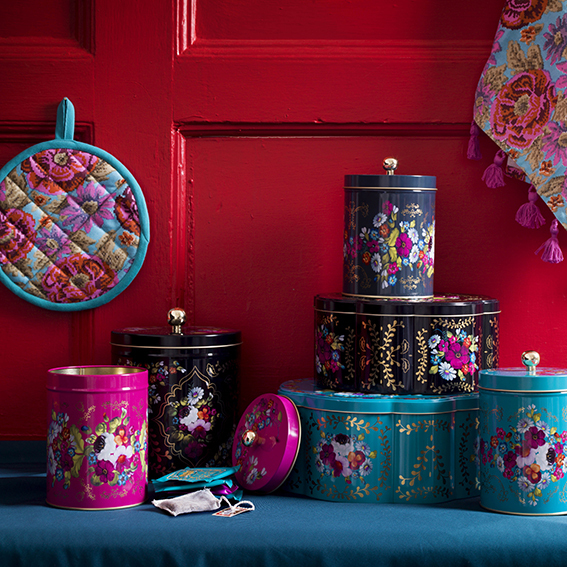 The retailer has extended the marbling theme to its dining collections. 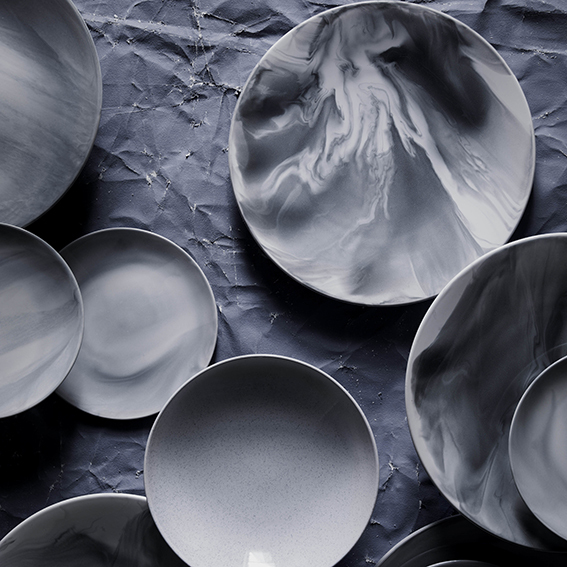 Its Nordic range of eye-catching plates have an almost watercolour-like quality. Apparently as they are individually made, each item is unique.